Hotels, resorts, and vacation rentals homes - your guide to accommodations while traveling in Puerto Viejo de Sarapiqui. The La Selva Biological Station (Estacion Biologica La Selva) offers travelers the opportunity to stay within the heart of a primary tropical rainforest in Costa Rica. The cabins here are simple but sufficient, and provide guests with unbeatable access to the area’s pristine nature. The Sarapiqui Neotropical Center is located in the Sarapiqui river valley, in the northeastern region of the country, just two hours from San Jose. This area is steadfastly becoming an important ecotourism destination. The region is known for its lush, thick rainforests, wildlife, nature reserves and white water rafting on the Sarapiqui River. The Tirimbina reserve is just on the edge of the property, boasting three hundred and fifty hectares of stunning rainforest. The Heliconia Island bed and breakfast is located 5 miles (8 km) from the town of Puerto Viejo de Sarapiquí in the northern lowlands of Costa Rica. This area is beginning to see more visitors as word gets out about its close proximity to stellar outdoor areas. The Selva Verde Lodge is nestled in the lowland tropical rainforest of Costa Rica, in Puerto Viejo de Sarapiqui, along the Sarapiqui River. 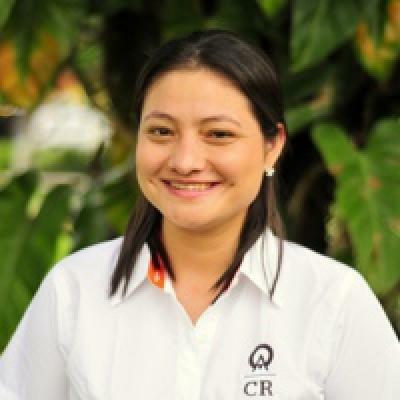 The lodge is known as being the pioneer of the eco-tourism movement in Costa Rica. This is a magical haven for bird watchers, nature enthusiasts, and hikers desiring to experience the rainforest. Located near the lodge is the town of Puerto Viejo de Sarapiqui, where guests will find a number of services and facilities, including bars and restaurants. Hacienda Pozo Azul Adventures can be found just 90 minutes north of San Jose, in the Sarapiqui valley. This valley is known throughout Costa Rica for its amazing, rich biodiversity. In the region, you'll find a number of national parks, nature reserves and packs of the endangered Green Macaw. The Sueno Azul Hotel & Spa is located in Horquetas of Sarapiqui, only an hour and fifteen minute drive from San Jose. The nature and beauty that thrives in this area appeals to anyone seeking a peaceful destination with stunning natural beauty. Though the city is relatively close to the 1,500 acre retreat, the hotel&s grounds are pristine and its air is fresh. The region offers lakes, mountains, forests, fruit farms and volcanoes. Rooms come in warm colors, in tropical shades that bring a little of the exotic flora indoors. Tirimbina is its own eco reserve, that protects 852 acres (345 ha) of rainforest, near the banks of the Sarapiquí River. They offer simple accommodations that make for comfortable places to unwind in between deep dives into the jungle.